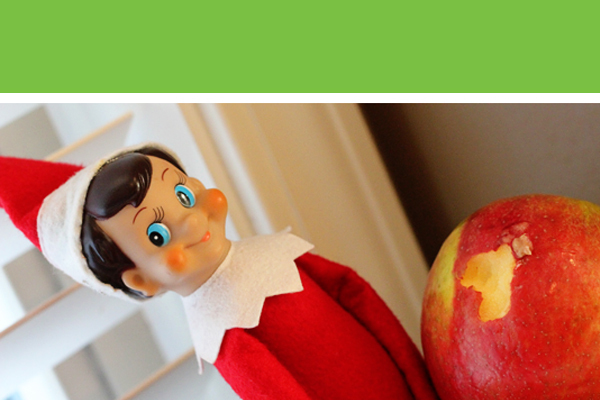 Chippy, our Elf on the Shelf has been with us for almost 10 days and I think he maybe running out of places to fly back to. 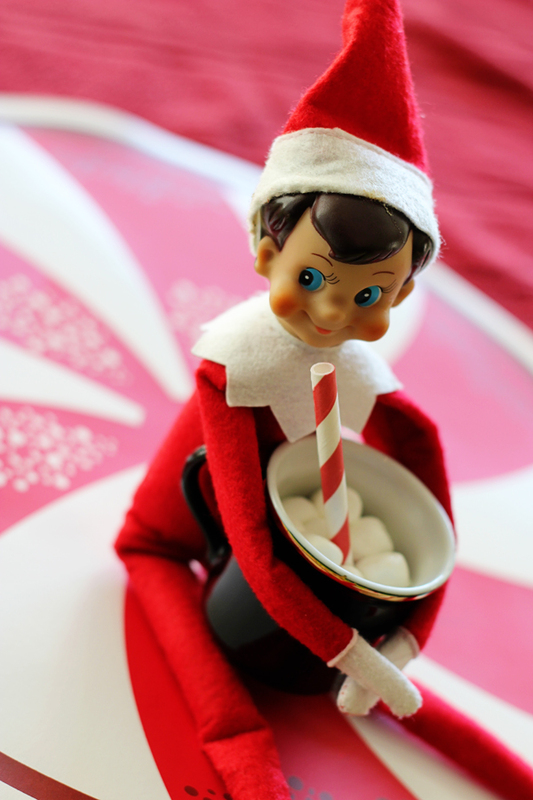 After searching the internet all I found was some naughty little Elves, making powder sugar snow angles and having marshmallow fights. My kiddies don’t need any ideas on how to get into trouble, they do a fine job all by themselves. 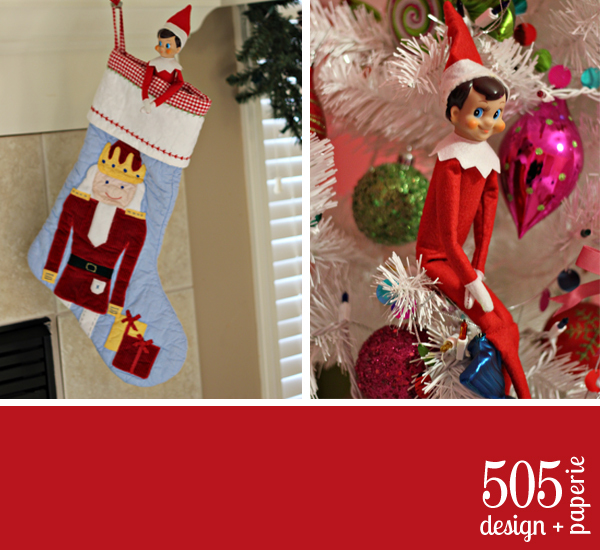 Here are some elf on the shelf ideas – from the traditional hiding in the Christmas Tree to cleaning the bathroom mirror. 4. My four year old came up with this idea “Chippy must get cold flying all the way to the North Pole every night, we should make him Hot Chocolate” – she is so thoughtful of others. 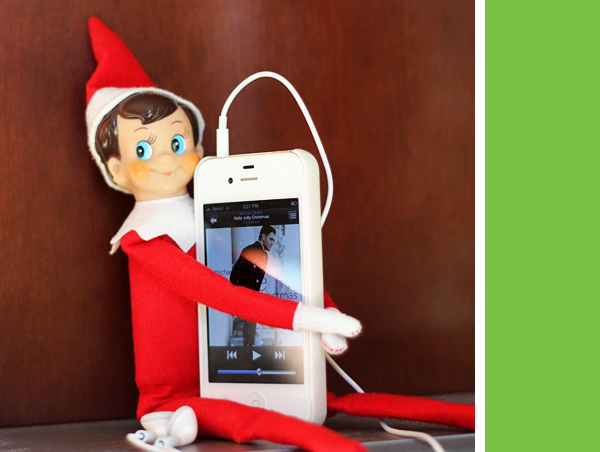 I hope this sparks some creativity when placing your Elf on the Shelf tonight, I will be back on Monday with 12 more ideas. 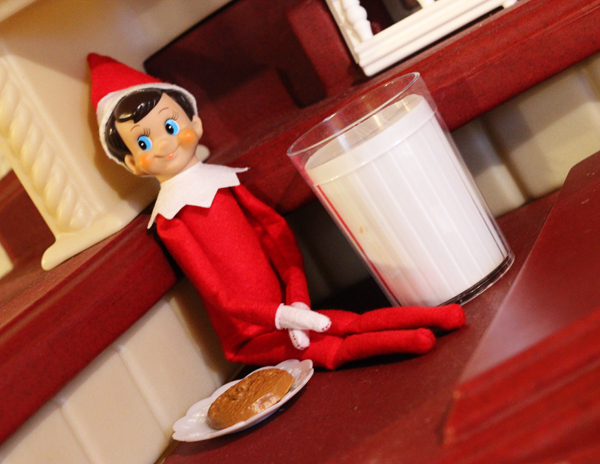 This is going to be our first year with an Elf on the Shelf, and I’m so excited! 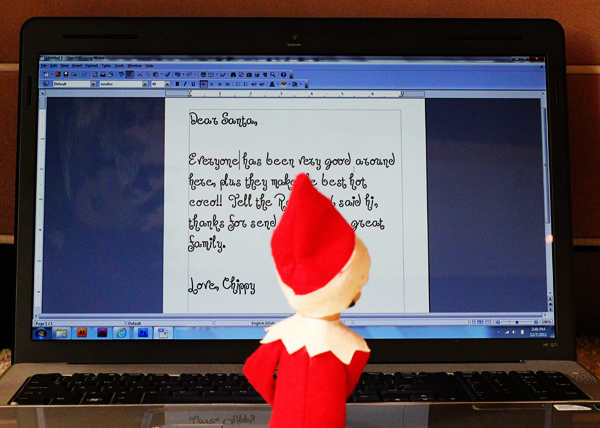 I was also getting a little nervous because all the cute ideas I found online were of the elf being bad. LOL thought I do like the powdered sugar snow angels! Thanks for some cute, nice ideas. Haha, I like the powdered sugar angel too – but I KNOW my daughter will try that for herself. 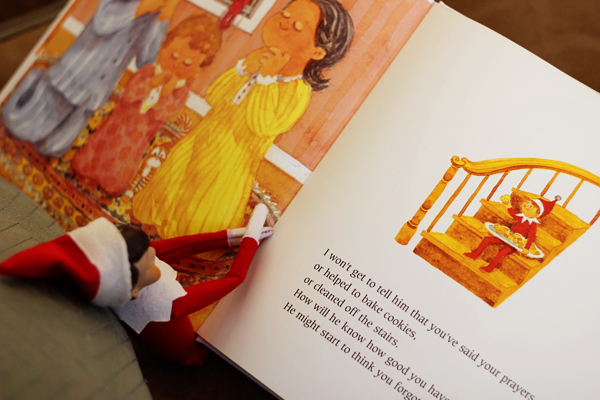 I hope your kids enjoy their elf! When you have her in places like the shower how do you shower without moving her since you can’t touch her or she’ll lose her magic. I’m struggling with that part. 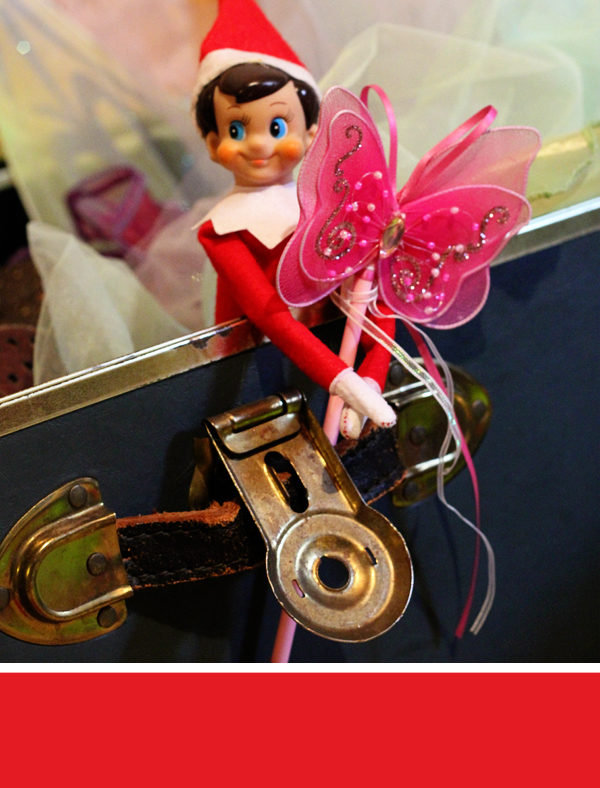 I’ve seen cute ideas like the elf fishing for goldfish crackers on the toilet but then we can’t use the toilet! I put him in my kids shower which doesn’t get used. 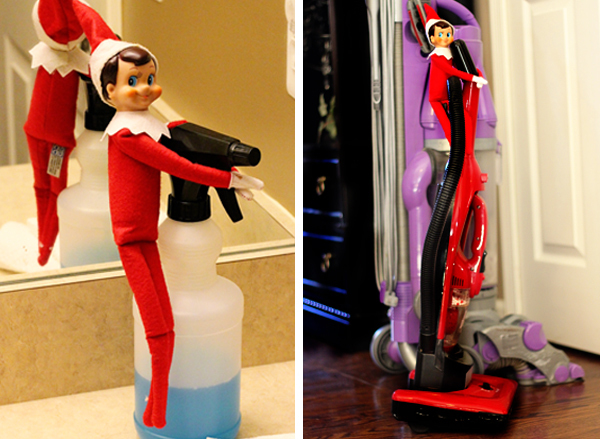 You can just put the elf in the bathroom counter wrapped in the “towels” like he/she just got out of the shower.